ABC and the Academy released a first look at the 90th Oscars with a promo celebrating the season. AMPAS also announced on Tuesday that 10 animated short films will advance in the voting process for the 90th Academy Awards®. Sixty-three pictures had originally qualified in the category. Short Films and Feature Animation Branch members will now select five nominees from among the 10 titles on the shortlist. 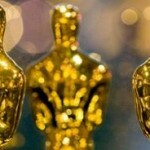 Also revealed were the 20 films in the running in the Visual Effects category for the 90th Academy Awards. Lastly, the field of Documentary Short Subject contenders for the 90th Oscars has been narrowed to 10 films, of which 5 will earn Oscar® nominations. Michelle Hannett (formerly McCue) contributes to and edits WeAreMovieGeeks.com.